The 2017-2018 winter forum topic is Evolution of Concrete Pavements: Lessons Learned for Long-life Concrete Pavements. It includes a review of case studies and focuses on design and construction items that maximize concrete pavement lifespan. 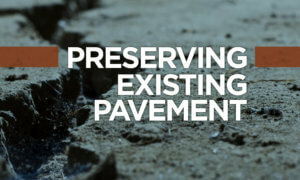 “This forum is interesting because we get to review some of Iowa’s oldest concrete pavements dating back to 1904. 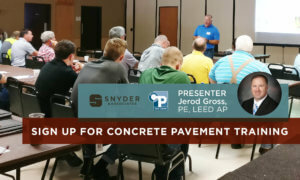 We’ll cover how old pavements performed and show how today’s pavements will perform for many years to come,” shares Jerod Gross, PE, Senior Project Manager for Snyder & Associates. There’s no cost to attend, and all forums take place over the lunch hour from noon to 1 pm. Attendees are welcome to bring a lunch or purchase one onsite for $7. Click here to register and view the full schedule with location information. To allow for planning, we ask that registrations are complete by 5 pm two days before the forum you’d like to attend. For additional event information or questions, please contact Melisse Leopold. For additional information on pavement management including methods, training, and manuals, contact Jerod Gross. 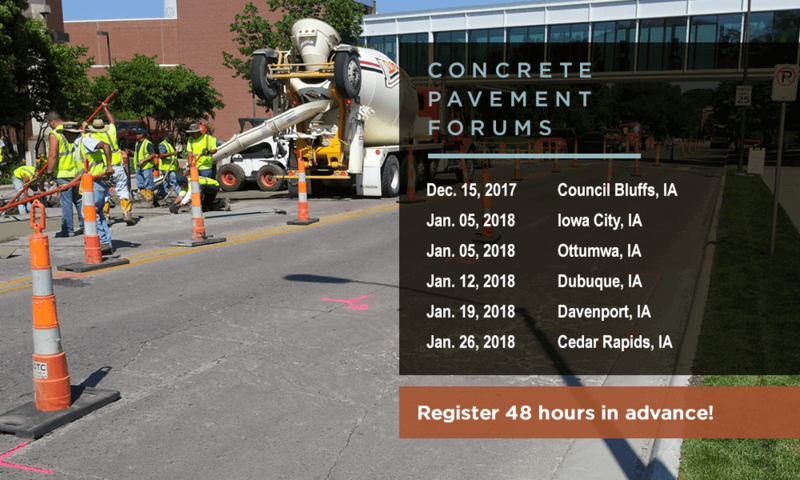 Thanks to the support of the Iowa Concrete Paving Association (ICPA) and the Iowa Department of Transportation, the National Concrete Pavement Technology Center (CP Tech Center) has provided continuing education opportunities through a series of lunch forums since 2006. As the CP Tech Center Technology Transfer Engineer for over a decade, our staff works with experts from around the country to provide concrete pavement preservation training materials, manuals, and presentations, including the lunch forums. Since the forums began, over 35 topics have been presented to more than 6,000 people. Presentation topics are chosen based on survey results from previous attendees with input from the concrete industry. The most popular topics have centered on concrete overlays, preservation, performance engineered mixes, and 3D survey and design planning. 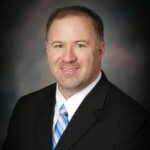 Due to the program’s success, the number of locations the forums are offered at has expanded from six to ten across the state of Iowa.